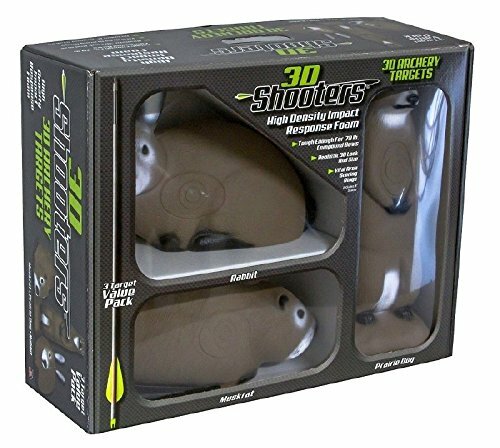 Little shooters 3-D pack is a three target value pack, featuring three realistically life sized animals. The muskrat, Prairie dog, and rabbit are a great addition to your back yard or indoor range. They are made from high density impact response foam that is tough enough for 70 pound compound bows. Each target is designed with a vital area shown with scoring rings for you to increase your accuracy. If you have any questions about this product by Field Logic-Shooter, contact us by completing and submitting the form below. If you are looking for a specif part number, please include it with your message.